The British bank’s leaders have been ousted and its reputation among regulators, politicians and customers, is ragged. Getting back on an even keel will be a struggle. But with the shares trading at a 38 percent discount to its global rivals, there’s scope for some striking gains. 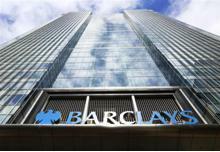 Barclays’ Chief Executive Bob Diamond resigned on July 3 in the wake of revelations that staff at the bank had attempted to manipulate the London Interbank Offered Rate (Libor). Jerry Del Missier, the chief operating officer, resigned the same day. Marcus Agius, the chairman who had said he would step down the previous day, was temporarily re-instated pending the appointment of replacements for all three jobs. Shares in Barclays, the UK bank, trade at a discount to its nine closest global peers when judged on commonly used valuation metrics based on Thomson Reuters Starmine data on July 20.